Easy and yummy Facebook freebie. 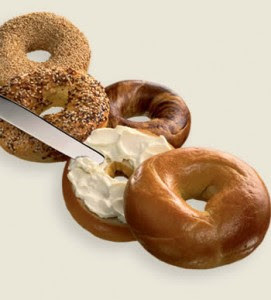 Go to the Einstein Facebook page and become a fan then print off your coupon for your free bagel. It looks like you can print as many coupons as you want, but hurry, it expires 1/18/09.